Top selling Digital Print Publisher Miranda Wong gives insight into her success. Miranda Wong is a wedding pianist and pop piano teacher in Hong Kong. She composes and arranges over hundreds of pieces for piano. She mainly writes music for weddings and Christmas and easy arrangements for children and jazz exercises. 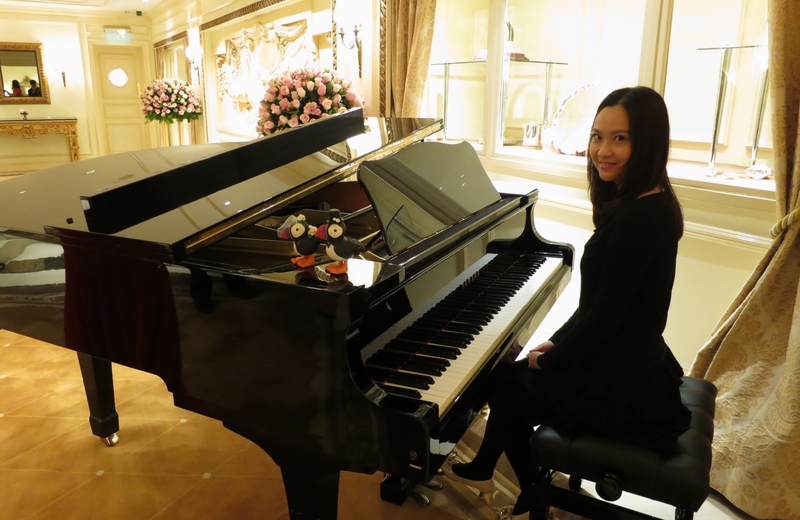 Her original wedding music and arrangements of classical music are widely used in wedding ceremonies in many countries, especially her Romantic Wedding March, Romantic Amazing Grace, and Traditional Canon in D.
Ms. Wong recently released her first piano book and album called “True Love” for simple piano music. David Burndrett’s musical career started at an early age. During his first years at high school, he supported many amateur operatic societies and orchestras, playing either cello or double bass. David attended Chetham’s School of Music in Manchester, England for four years, and was awarded the Ida Carroll string prize during his final year. He played in the National Youth Orchestra and Chamber Orchestra from 1993 to 1995. David left Chetham’s in 1996 to broaden his musical training at Guildhall School of Music and Drama in London, where he studied solo classical and orchestral technique with Thomas Martin. Additionally, David was accepted onto the jazz course where he was able to form alliances with many players. David and his colleagues formed the Tom Allen Quintet, who won the Perrier Jazz Award in 1999. David also arranges and composes music and sells his music internationally online. David is a regular extra with the Halle, BBC Philharmonic, City Of Birmingham Symphony, English Symphony, Manchester Camerata, Sinfonia Viva, Orchestra da Camera and others. David Burndrett is one of the top self-publishers in the Digital Print Publishing program offered through Sheet Music Plus. Digital Print Publishing allows composers and arrangers to upload their music to www.sheetmusicplus.com for free and earn royalties. In an interview with Sheet Music Plus, David answered the following questions about his musical career and how Digital Print Publishing has helped him achieve success. He demonstrates that if you are arranging and composing music for your students, it is very likely that other teachers and musicians are also looking for similar pieces. Why not try to sell your music?